Up-Close Outfitters in once again back in the woods. 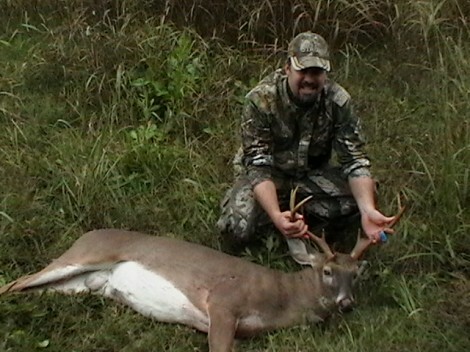 Our season started off well with a client missing a good buck opening bow day. We are currently monitoring 7 stands in the National Forest surrounding Asheville NC. For those not familiar with us we are a Federally permitted and insured LLC operating and hunting 57,000 acres in the Pisgah National Forest. We cater to the hunter looking for a rugged hunt or wanting to learn the basics and advanced tactics to hunting deer and turkey in the Big Woods. We scout year around using GPS and GIS mapping technology to bring the immenseness of the forest to a manageable size. We then put 100s of hours of leg work into the scouting finding those remote yet secret spots where mature whitetails roam. Come hunt with us to learn and harvest the best big game hunting has to offer!